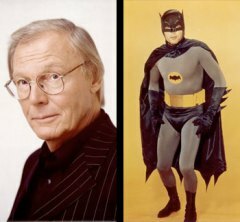 The 20th annual San Luis Obispo International Film Festival kicks off Wednesday with a documentary about the man who logged the most hours in the Batcave, Adam West. Meet West at the Fremont Theatre for the screening and a question and answer session at 7 p.m. In 1966, Adam West was on a meteoric rise to fame as the star of the ABC series Batman. But after three seasons, the series was cancelled. Typecast as the caped crusader, West never gave up and is currently best known for his role on Family Guy. “Starring Adam West” is the story of a Hollywood survivor, with a cult like following who will stop at nothing to see their super hero justly rewarded with a star on the Hollywood Walk of Fame. Founded in 1993 by San Luis Obispo attorney Mary A. Harris, the film festival is a five-day-long celebration of classic films. The first festival included 32 screenings and a tribute to film director George Sidney. He won the King Vidor Award for Excellence in Film making that year and began the annual tradition of awarding a successful motion picture industry personality with the award on the stage of the historic Fremont Theatre in downtown San Luis Obispo. On Saturday evening, former King Vidor Award recipient James Cromwell will present the 2014 King Vidor Award for Career Achievement to Academy Award winning actor Jeff Bridges. Also on Saturday, KSBY-TV’s Dan Shadwell will MC the George Sidney Independent Film Awards, presented each year in several categories juried by film and media professionals. Audience Choice Awards, based on votes collected during the first four days of the festival, will also be presented. Tickets are on sale for five special San Luis Obispo International Film Festival events. Visit SLO Film Festival for a list of the dozens of film festival movie screening available to the public and to purchase event tickets. 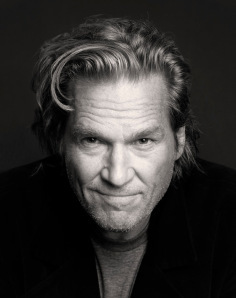 Luv the Film Fest…Luv that Jeff Bridges is receiving the King Vidor Award. I was in Jr. Hi when Batman was popular, so Adam West is an icon from my youth….good stuff. Support the SLOIFF…. Knew Adam West back in the day… Genuine, friendly. An great guy.